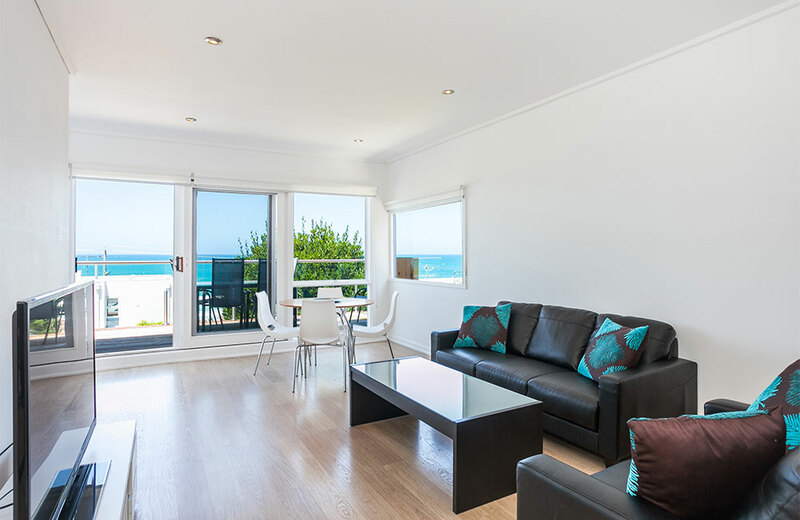 The beautiful relaxed energy of Lorne Beach Accom apartments will have you breathing easy, and letting go! Feel at home with your friends and family. Enjoy fresh sea air, bright sunny days, beautiful starry nights and the sound of the sea rolling in of a night will have you sleeping soundly. 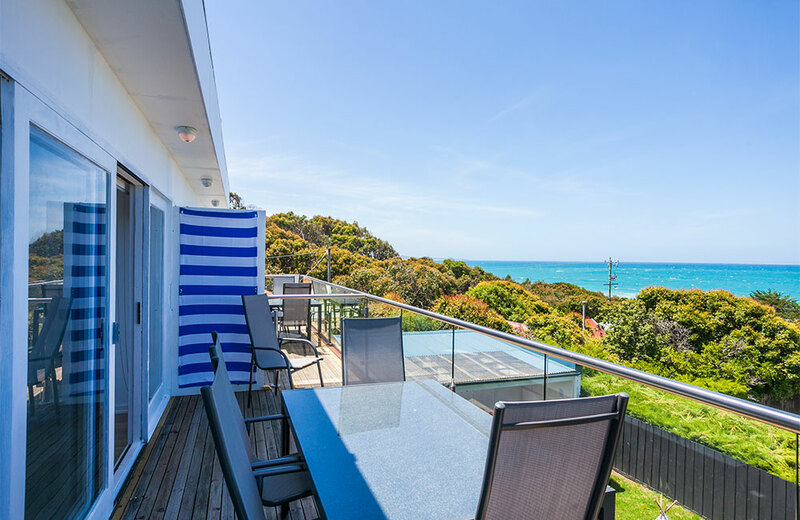 Lorne Beach Accom is one house back from the beach, nestled in a quiet street in Little Stony Creek valley, Lorne, with expansive views of Loutit Bay. 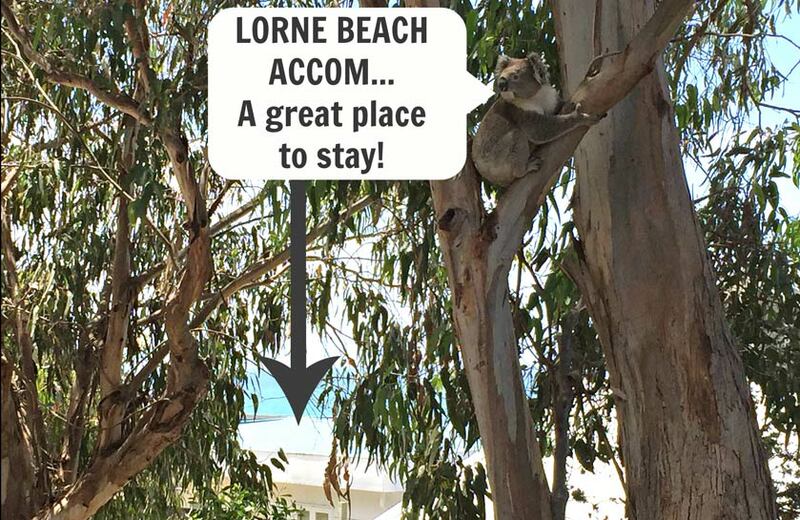 A two minute stroll will take you to a lovely beach in North Lorne. Jump in your car and you'll be in downtown Lorne in three minutes. Plenty of on-site and off-site parking. 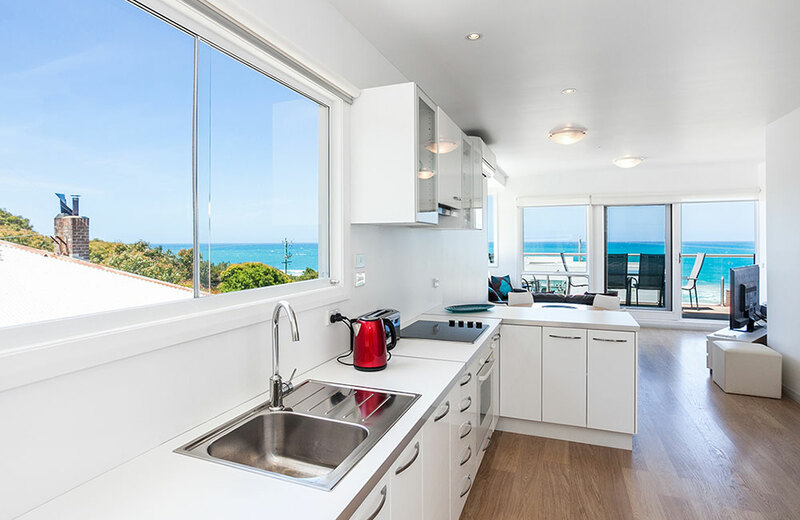 Three self-contained apartments, all with spectacular ocean views, accommodating 4 guests per apartment. Sparkling from recent renovation with all the mod cons (including air-conditioning). Sensational views from the front entrance through the new kitchen and living area, onto the expansive balcony. Enjoy the ocean breeze and spectacular views on the balcony while sipping a glass of wine and chatting with your friends. Watch the waves roll in from your lounge chair. 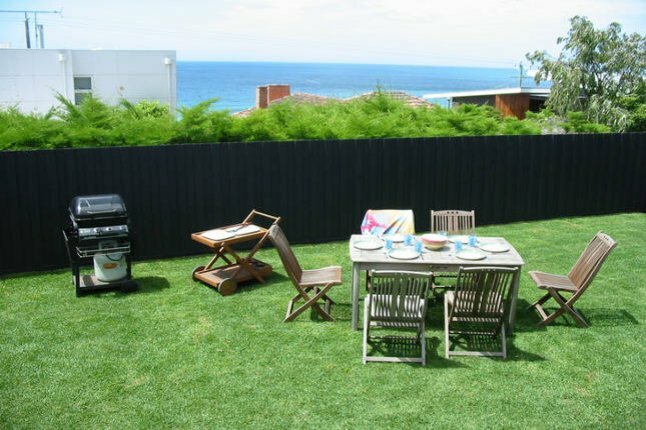 Soak in the afternoon sun or sit in the cool shade of the huge gum tree in the entertainment area and take in the views while you fire up the 6 burner BBQ. 2 minute walk to the beach. 4 minute drive to downtown Lorne. 4 minute drive to Lorne Golf Course. Brand new kitchen with dishwasher. 50" Full HD LCD LED TV. Everything you need for a relaxing and enjoyable holiday. 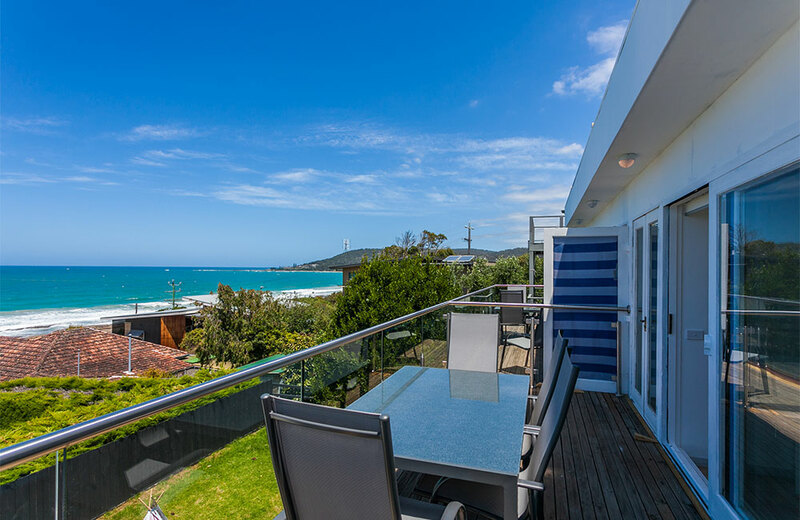 Sensational views from the front entrance through open-plan living area (newly furnished lounge room), onto the expansive balcony. Enjoy the ocean breeze and spectacular views on the balcony while sipping a glass of wine and chatting with your friends. Watch the waves roll in from your lounge chair. 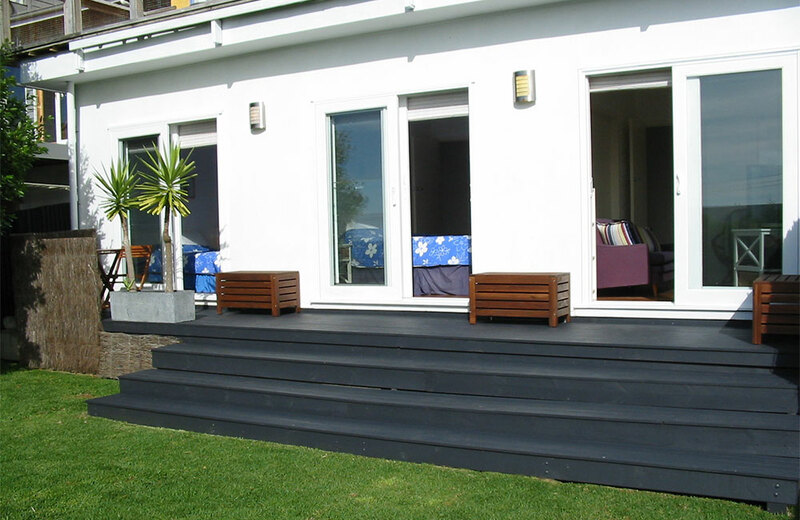 Soak in the afternoon sun in the outdoor entertainment area and fire up the BBQ. 2 minute walk to the beach. 4 minute drive to downtown Lorne. 4 minute drive to Lorne Golf Course. 50" Full HD LED LCD TV. Spacious well equipped kitchen. 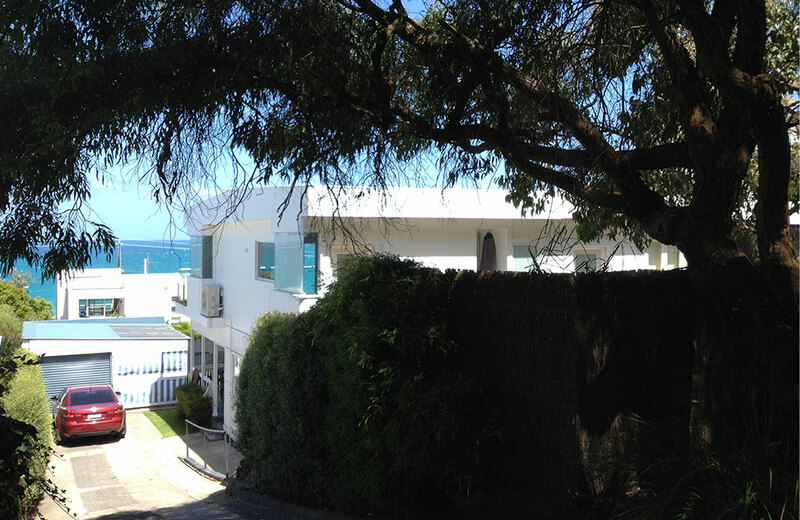 There's not a lot of places in Lorne with a self-contained, open, flat backyard overlooking Loutit bay - this is it! 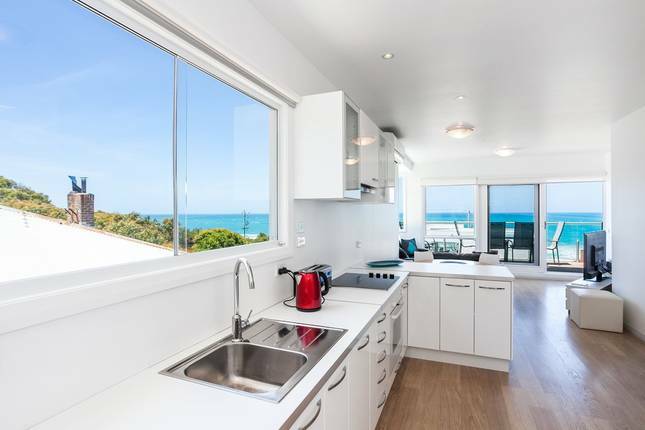 This ground floor apartment with 'life at the Beach decor' has a large outdoor undercover entertainment area catering for all ages. Loungeroom with new lounge suite and 47" LED LCD TV. Bathroom with shower and large bath combined. 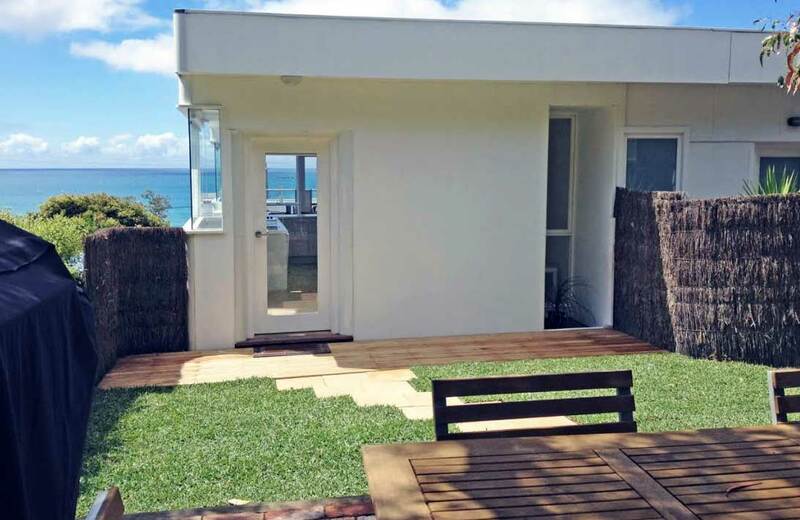 The lounge room and bedrooms 1 and 2 have ocean views and open out onto the deck with private back yard. 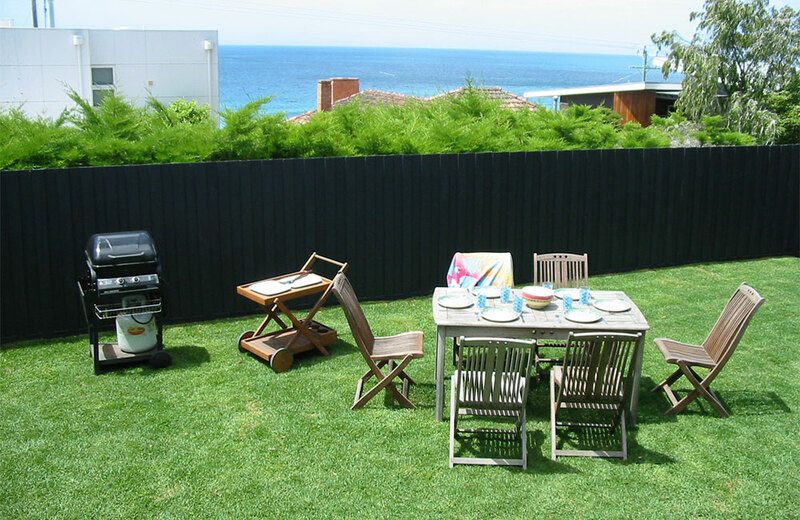 Including an outdoor undercover entertainment area and 6 burner BBQ. This lends itself to lounging about and spending time with your friends and family in your own private beach house environment. Great for children and adults alike, with plenty of space to run around and play, the perfect retreat for a young family or group of friends.